Exports can be performed in two ways - folder view export (categorized by folders) and account view export (categorized by accounts). XLSX - Microsoft Excel Open XML Format Spreadsheet file. HTML - Hypertext Markup Language (HTML). XML - Extensible Markup Language (XML). PDF - Portable Document Format (PDF). All export formats can be customized to better suit Your needs. 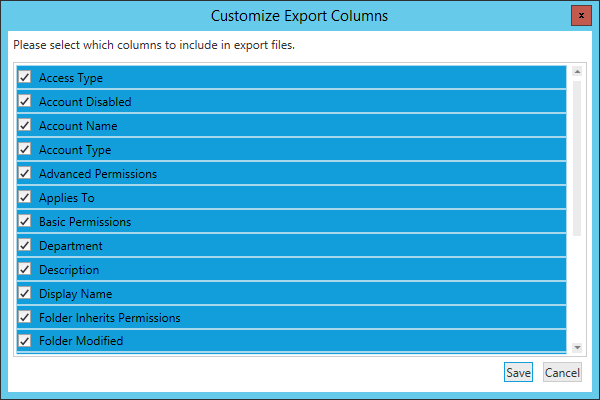 Press Customize columns and You will be able to choose, which columns You want to include in Your export files.